Visitors will not be asked for any personal data to access this website. Personal information will be asked only in case of subscription to our newsletter. When subscribing to our newsletter, the user gives an explicit assent for the use of personal data accordingly to art.13 of European Union's General Data Protection Regulation 2016/679 (GDPR).  Teatro Tascabile Bergamo - Accademia delle Forme Sceniche info@teatrotascabile.org is responsible for data treatment.